WICHITA, Kan. — The third Navy ship to bear the city of Wichita’s name will be sent into active duty early next year. The littoral combat ship USS Wichita will be commissioned Jan. 12 at Naval Station Mayport, Florida. 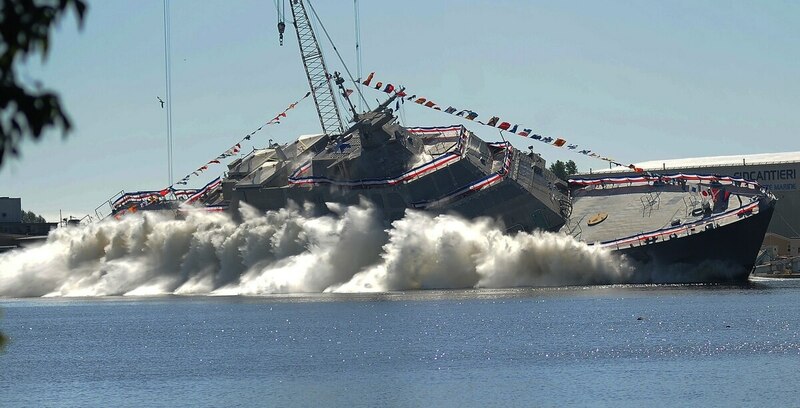 Littoral combat ships are fast and nimble ships that the Navy wants to use for minesweeping, anti-submarine, drug trafficking and humanitarian operations. The Wichita Eagle reports the ship is 387 feet long, 57 feet wide and has a top speed of more than 45 knots — or nearly 52 mph. The Wichita also is equipped with a launching pad for two, MH-60 Seahawk helicopters. The first warship Wichita was a heavy cruiser that earned 13 battle stars during World War II. The second vessel was a replenishment oiler that earned four battle stars in Vietnam.